It has been a good while since I’ve done a good fisking, shall we? Myth #3 – Gifts of firearms are exempted. Nowhere in the text does it imply that all firearm gifts are exempted. To imply that anyone assumed that makes *them* look not too bright. Any responsible gun owner should WANT it to be known whether a specific gun was transferred to someone else or not. Why? Because while you may have given it to someone you “think” would never use it in the commission of a crime, the fact of the matter is, you don’t know. You couldn’t know. How many times do you see friends and family members shocked and incredulous over what the people they have known their whole lives end up doing? How many times do you hear interviews with family members who say “I just can’t believe he did it. He was always so easy going. I don’t understand where that came from.”? Do you really want to be the person who “gave” your gun to a would be assassin regardless of the fact that you think “they would never do that”? If you were really about increasing the knowledge to prevent guns from falling into the wrong hands, why not a public background check number or an indicator that is printed on all drivers licenses. While that has other issues it’s certainly a fair cry better than the monstrosity you’re trying to sell. 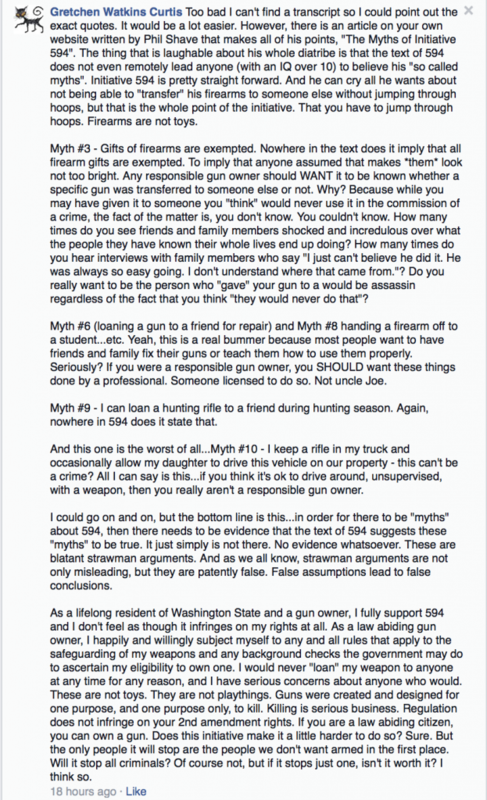 Myth #6 (loaning a gun to a friend for repair) and Myth #8 handing a firearm off to a student…etc. Yeah, this is a real bummer because most people want to have friends and family fix their guns or teach them how to use them properly. Seriously? 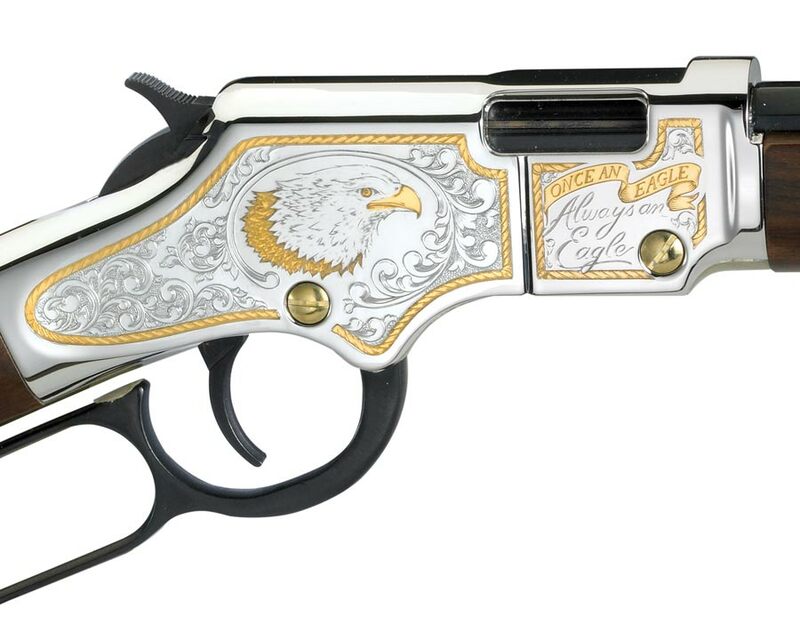 If you were a responsible gun owner, you SHOULD want these things done by a professional. Someone licensed to do so. Not uncle Joe. Difference between an amateur and professional is whether or not you are paid and nothing more. I am an amateur radio operator and let me tell you, there is nothing amateur about us. I’ve had law enforcement park next to me because I will have comms when they don’t. I have the tools and training to change barrels and do other work on firearms however that is not my everyday job. So I should not be allowed to do work I enjoy for friends and family despite my training? There is no definition of what an authorized range is. Also many loaner weapons used in firearms training are owned by the instructor and not the range. Further you will not there is no exemption for instructors handling firearms owned by students. The only other line that comes close is “practicing for a performance” but that pertains to drill teams, not training. Not to mention that deep down is economic elitism and discrimination as you are require additional money to be spent when honestly they may know someone who is perfectly capable of fixing their firearm or offering training. Myth #9 – I can loan a hunting rifle to a friend during hunting season. Again, nowhere in 594 does it state that. What this means is if you wander within 150 feet of a road, or cross a stream or any other area where hunting is not legal you are committing a misdemeanor the first time or a felony the second. It is only legal as long as you are in the hunting area. You better get the firearm back before you reach your truck. Myth #10 – I keep a rifle in my truck and occasionally allow my daughter to drive this vehicle on our property – this can’t be a crime? All I can say is this…if you think it’s ok to drive around, unsupervised, with a weapon, then you really aren’t a responsible gun owner. Myth #10: You have never lived in a rural area have you? I regularly drove around my friends rig with his rifle in the back while helping with their farmland. Under this it would be crime, not to mention I regularly drove around my uncles truck as a minor, with a rifle. Why would I have a rifle? To shoot coyotes and other predators that prey upon livestock. But such a well-rounded and educated person such as yourself knew that there are predators out there right? Because me trusting the person I’ve given the keys to my truck and is acting to protect my property is irresponsible? WTF? So there, I have backed up my case by citing the initiative text and if you think I’m wrong, here’s a past supreme court justice from the state of Washington on the subject. Maybe you should leave the interpretation of the law to professionals instead of amateurs. And since you’re a “gun owner” I’m more than happy to meet up with you at West Coast armory so you can get some practice with your firearm, if it exists. I will pay your ammo and range fees, my treat. 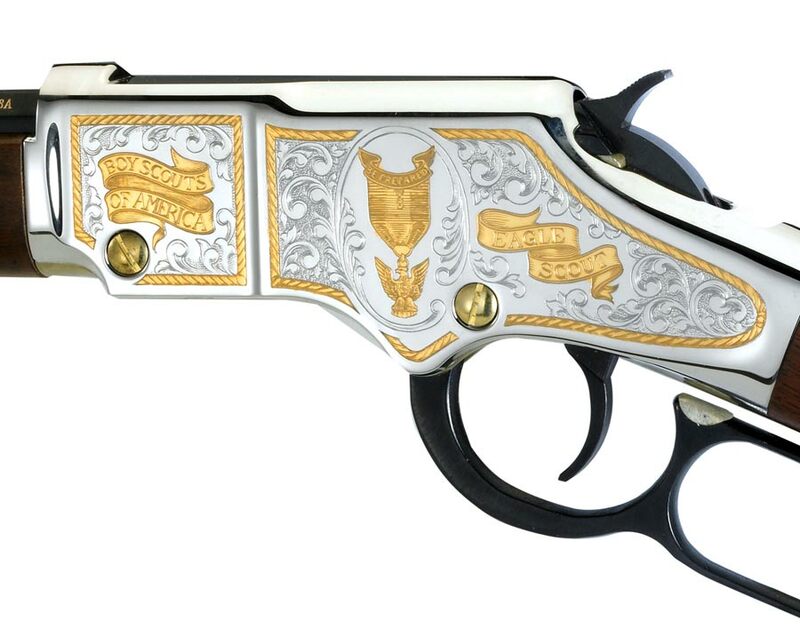 I don’t really like rifles that will just live on a wall and look pretty. It’s a tool. Period dot. I did however see a rifle I want on my wall oh so badly. Seriously. I think I might be getting myself one for Christmas if I have the cash. So I have seen this before but I figure it’s a nice refresher. Note the results, still think those little boxes you see will keep your property safe? Especially those quick access boxes some end up buying when they’re stuck in one of those states lacking in freedom and pushing tyranny. Still think the arguments are really about your safety or preventing theft? If you think curious kids can’t figure out how to pick a lock, you obviously never saw me as a child. I figured out how to pick locks at first just with paper clips. Making my own tension fork and rake to pop simple locks. Eventually I got my hands on a real set. Yeah, beyond a real safe and educating your children, you’re not going to do much other than increase curiosity. So consider this a public service announcement and a warning. If you’re using any of these items, be damn sure of their capabilities and weaknesses. In so doing, be sure to use them in a manner consistent with their abilities. I happen to fully agree with the presenters final conclusions. I like me some dark black humor and that was a good jab at the current situation. A friend who’s still a student told me last night he brought his 22 lr from home to plink with. I chuckled and said, “You have 22 for it right.” He didn’t realize the crunch had tightened the noose around even 22 ammo. I don’t know how long this crunch is going to hold out, but I can tell you I am watching bulletin boards for the moment when guys start trying to sell ammo to make a mortgage payment. Mr Coates has a luxury that we don’t; the luxury of anger. He can afford to get mad at people in traffic, to confront people in the grocery check-out line, and those little moments of anger that we all have on any given day. I can’t afford them. It’s not because there’s a monster in me waiting to shoot people. It’s because I’m worried about the monster inside everyone else, and I would like to go the rest of my life without ever drawing a gun in anger again. At the end of the day I don’t carry a gun because I’m hoping to shoot people any more than I wear my seat belt because I’m hoping to get in a car crash. I carry a gun in case someone decides that the contents of my wallet are more valuable to them than my life is; and I wear my seatbelt in case someone decides that the text message from their friend is more important than looking at the road while doing 90 on the freeway. [It’s amazing how many people don’t seem to be able to comprehend the above. I remember one time while carrying someone trying to provoke something and just ignoring it. Insults were thrown and I merely chugged on. If verbal abuse is what that guy needed to feel better about himself, well I ultimately feel sorry for him and those around him. I however ultimately didn’t care because honestly throughout my life I’ve learned to not give a crap about what some stranger thinks of me. He may think I’m a coward and he can think all he wants. But here’s a random thought? Who’s the real problem? The man who ignores verbal insults and attempts to deescalate the situation, or the guy who commits assault along with other petty crimes? I carry a gun for the same reason as Caleb. While some in this world may consider it their goal in life to provoke physical altercations and go looking for trouble, there is a great many of us who walk through our lives with only one request and one goal, “Leave me the hell alone.” Many of us will go through great lengths to just be left alone, including trying to deescalate, go the other direction, etc. The reasons are many and complicated and are not the same for everyone, but to some extent I think for most it is simply because it is what we want to believe. Many of us are conditioned and many of us are naive, but there is more to it. I believe we accept these ineffective ways to keep us safe because they are what we want to be true. We want to believe that the world is basically a rosy place where bad things don’t happen to good people and when they do they are so rare, we need not worry about it. AND we want what is easy. If you haven’t read her post, “I Believe, I Believe. It Is Silly, But I Believe,” it’s worth the time. I point to her post because it, mainly that quote, is honestly what inspired the following train of thoughts through my head. People naturally tend to rationalize away things they do not like, things they do not want to hear, or things that would otherwise bring them discomfort. While every last one of those points are valid and extremely important it misses probably the most critical one of all. What could she have missed? She has that bad exists in the world, some are naïve, and that ultimately we want those simple things to be true. So what critical item do I think was left out? In the defense of my family or myself I may have to strike another human being. Not only may I have to strike that person, but I may be forced to take their life in defense of my family or myself in order to stop the attack. Many people cannot handle this. We are brought up in a society where doing such a thing is viewed with great disdain and shunned, and rightfully so when life is taken for the wrong reasons. Many people group all killing into that single group. For them there is no acceptable reason to kill another human being. Not even to kill them to prevent them from killing you. Not only as a society is this shunned, but many people lock up at even contemplating the fact they may be force to take the life of another human being. It is not entirely their fault either. We are wired genetically to not want to kill each other. No person really likes the idea that they may end up having to kill another, honestly most will do what they can to prevent it. Many of us who do finally accept this ugly truth have spent hours agonizing over and finally understanding that the circumstances that lead to that situation are ultimately out of our control. While yes we can do things to mitigate our chances of an encounter, ultimately the decision to start the conflict does not ride with us. We know, understand, and accept this. Not everyone is so willing to accept the reality of this fact. Many will constantly rationalize that somehow they can avoid any conflict that might befall them. They will falsely rationalize to themselves that if the aggressor gets what they want it will go no further. They ignore and disregard the idea that some people don’t want anything other than to see someone in pain and die. They do not understand how the other side ultimately views this situation. They cannot comprehend the following so eloquently put by Malcolm Reynolds. Yes, I make the decision to defend myself, and yes I make the decision on the level of force necessary to apply. The most critical decision though in that whole chain though was the person who decided to victimize my family or me. If he had not have chosen to attack, invade, or otherwise do something against my family or myself, I would have never needed to make either of those two decisions. The second decision ultimately is also based on the aggressors decisions as well. Ultimately though the first decision must be made in advance and the gravity and reality of the potential consequences of the second decision accepted. Many people cannot do that, they cannot accept that, they cannot comprehend why contemplation would even be necessary. Many of us look at the story of A Girl, or the excerpt in her post from “Armed and Female” and a roll of realization and acceptance flow through us. Many who read this have already accepted the harsh realities A Girl points out in her quote, but we’ve also accepted the consequences of that truth. It is those consequences I believe most people have a serious problem with whether they’re willing to admit it or not. Without accepting those consequences there is not much left in the toolbox for survival. The natural response then is to rationalize and attempt to hide the problem. I have touched before on why I carry a gun, and some have argued and told me that people carry a gun out of fear and being afraid. I don’t carry a gun because I’m afraid of criminals. I don’t carry a gun because I think someone is out to get me. I carry a gun because if and when the devil arrives at my door I have one mission and one mission alone: Assure that my wife and myself arrive home in one piece, no worse for wear. The condition I leave the devil in is entirely up to him. He may end up hospitalized, he may end up just scratched and bruised, he may even end up dead. My decisions though center around my mission and I will do what I feel is necessary to guarantee that outcome. If you don’t like it, don’t try and attack my family or me, it is honestly that simple. However I have realized and accepted this ugly truth an the potential consequences that go with it. 1-Grossman, Dave. On Killing: The Psychological Cost of Learning to Kill in War and Society. Boston: Little, Brown, 1995. 39. Print. via Ry I came across this thread at ARFcom. I’m at a cease fire at the range and we have a few guys changing their targets. One guy finished shooting and decided to case his rie and take it to his car, handling it while people are down range. There is no range officer as this is members only hours. I didn’t say anything to him but am wishing I had politey reminded him of the rules. The comments in that thread make me weep. You do not handle firearms during a cease fire. Period, end of discussion. Now how would I react? I have been in that exact situation. Sadly the video of said situation the audio is washed out by the wind. But here is a break down of what happened. So he walked off the shooting line with an uncased rifle. He was handling the weapon during a ceasefire, and in so doing had muzzled a bunch of the staff. I handed the issue over to one of the “jacketed” ROs to deal with because he seemed to think I wasn’t someone he should be listening to. The bottom line is that the rule of not handling firearms during a cease fire is to ensure that no one is muzzled and that there is a zero possibility of human caused discharge while people are down range. If you’re so impatient that you need to be careless about safety, get the hell off my range and don’t come back. In the incident above, I have not seen even the friends of this individual return. Evidently it did cause a bit of a black eye. You know what would have been worse, just ignoring it. Safety is a culture and if you don’t cultivate it and make sure people are thinking about it, especially in an event like Boomershoot, the next thing we know the event is no longer happening because someone was careless. Seriously folks, is this that difficult to understand? For any of those of you who recently started reading my blog, these types of things make me VERY angry.